Allow me to present my review of Richard Adams' novel, upon which Martin Rosen's animated feature is based. That's kind of like reviewing the Bible. Does it have the part where God asks a man to kill his son for no reason? Well, in God's defense, he didn't ask the guy to do anything he wasn't willing to do himself. Criterion's contempt for animation has always been one of its biggest flaws. I am hoping that when Criterion releases Watership Down in physical format they will also offer Plague Dogs simultaneously as a stand-alone release, or at least as an extra on the former's disc. I still need to see that movie. I bought the book recently though. Perhaps I'll start reading it today. You should read the novel before you see the movie. Well I've now read the novel and just finished watching the movie. The novel is really good. I'd heard so many stories about how it was so dark and scary but it didn't really feel that way. There were obviously dark sections and the atmosphere was done very well but it wasn't how I expected it. When it came to the movie, though, I found that very disappointing. It's not just that there are differences from the novel but both the differences and similarities are extremely superficial. The book had them find hutch rabbits and Hazel gets shot, so the movie includes that. What is missing is any sort of motivation. The entire motivation of going to the hutch rabbits is lost. The lesson of Hazel getting shot is lost. Even the payoff of that whole section is lost as I don't think they got a single hutch rabbit. Every time the novel dealt with the characters motivations, the effort they went through to do something or spent time letting you get to know the characters it got out. The movie should've slowed the pace and focussed a lot more on character development. Too many movie adaptations of novels cut out the motivation. I have reviewed the German animated version of Pirinçci's "Felidae", the cat murder mystery, as similarly faithful but much too compressed. In the novel, the cat Francis walks into a crime scene, carefully studies it, ponders for a few minutes, then gives his theory about what probably happened. In the movie, he is giving his theory of what surely happened as he is entering the scene. My favorite examples of movie rewriting of novels are not furry. In "The Black Camel", one of the original Charlie Chan mysteries by Earl Derr Biggers, one of the suspects is described as being a clean-cut, all-American youth. In the movie, he is played by Bela Lugosi. In "Gone With the Wind", Margaret Mitchell describes Scarlett O'Hara as very rich and well-dressed, but not particularly attractive. When the movie was in development, there was a well-publicized talent hunt for the most beautiful actress they could find for the role. In Lawrence Block's Bernie Rhodenbarr murder mystery novels, Bernie is described as a dumpy, middle-aged Jewish man. Who played the part in a TV movie? Whoopi Goldberg. I haven't seen any of the others, with the exception of Felidae. I haven't read the book but I enjoyed the movie a lot. It all made sense but I suppose if I'd read the novel I'd have similar complaints. Felidae has the advantage of a much smaller cast though. 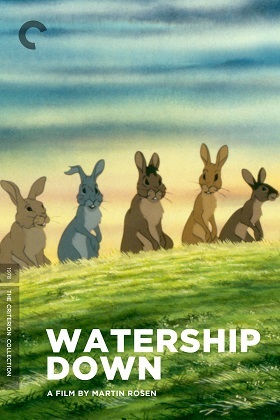 Watership Down has a large cast, most of who are fairly well characterised. In the movie we don't see any of that and I had no attachment to the characters. I have got the Gone With The Wind novel but I haven't read it yet.